With the night’s drawing in, now’s the time to perfect your cooking skills for the colder nights ahead! To ensure you’re well-equipped, for preparing those much-needed winter warmer dishes, we’re here to help make life that little bit easier in the kitchen. 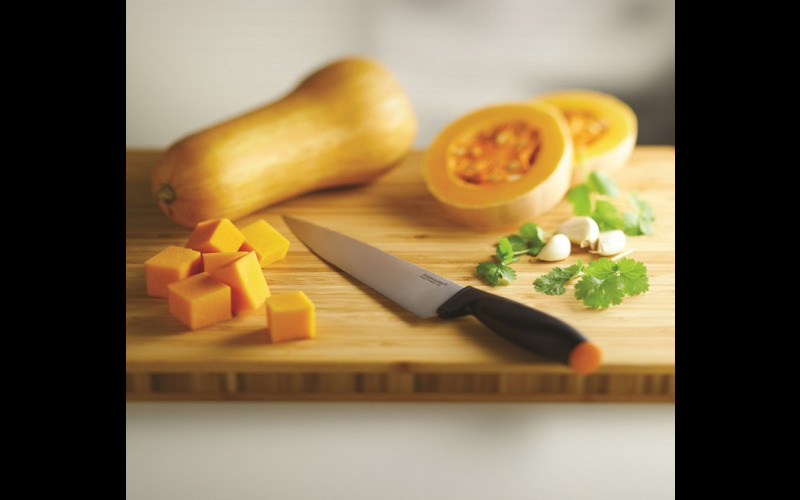 Whether you’re looking to cut, chop, slice, dice or carve to create a delicious casserole or a mouth-watering crumble, you could be in with a chance of winning one of ten cutting-edge knife bundles from leading kitchenware brand, Fiskars with its Functional Form range. Perfectly balanced, the Functional Form knives and cutting tools help you cut precisely and powerfully. Beautifully designed with a secure, ergonomic grip, the range includes features such as Softgrip and a finger stop to make cutting comfortable at any angle, helping you rustle up a seasonal masterpiece! Consisting of a Functional Form Large Cooks knife, Carving knife, Bread knife, and a Paring knife, you can be a chef extraordinaire in no time!